Logging into 2 accounts to vote down Ray's facts. What an absolute riddy for CB. The biggest riddy is that you care. **** up. Minus 10k bad. Are you sure it's a bigger riddy than your son supporting Celtic, without him even knowing what kind of state you get yourself into on here on a daily basis? Speaking of which I saw you on the motorway the other day. Absolutely bigger than that. I've no problems who anyone supports. Why would I? You didn't see me on any motorway the other day. Only you could make fun of a young disabled person. I read it more as a case of him comparing you to someone who is used in order to garner attention for his groomer, in wee Jay’s case, his da’. It appears I was wrong. I'll just correct that. Only you and Toby could make fun of a young disabled person. I was making fun of you. Nobody else. Whilst we are on the subject of making a fool of you, and you making a fool of yourself for that matter - you still haven't answered Tonofmemories question. James Vincent joins Dunfermline on a seaon long loan. Did LinwoodTon ever answer your question? He didn't. I've subsequently been blogged for having the audacity to ask a simple question as well..
Edited by TONofmemories, 04 July 2018 - 06:48 PM. Welcome to the club, ToM. I see that old Jakeball is hell-bent on plunging to new new depths in his quest to offend people. Someone brought that to my attention the other day. What he is hinting at right now is so far beyond the pale. He's an attention seeking piece of s***e. He's really scraping the barrel now, an irrelevance scrambling for relevance. If you wish to know my identity ask largston to point me out at Cappielow , I might even buy you a pint after. 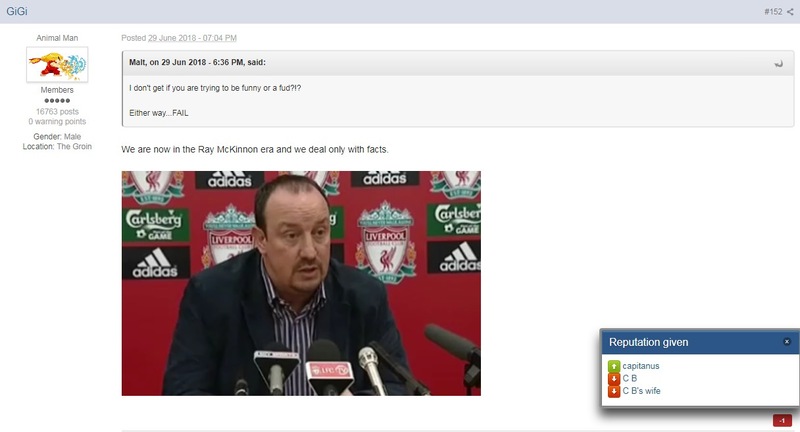 I removed the stuff about that rancid blog, you guys are right, I wouldn't want to cause any further upset to anyone. Edited by Cappiecat 1.2, 05 July 2018 - 03:37 PM. Needs help. Not normal behaviour.